What’s better than a quick and easy pasta dish? I would say not much. So here you have my friends, Baked Gnocchi Double Cheese Tomato Sauce. Cheesy and delicious, pasta night is any night. is the perfect dish when you are craving a fast and easy Pasta dish. 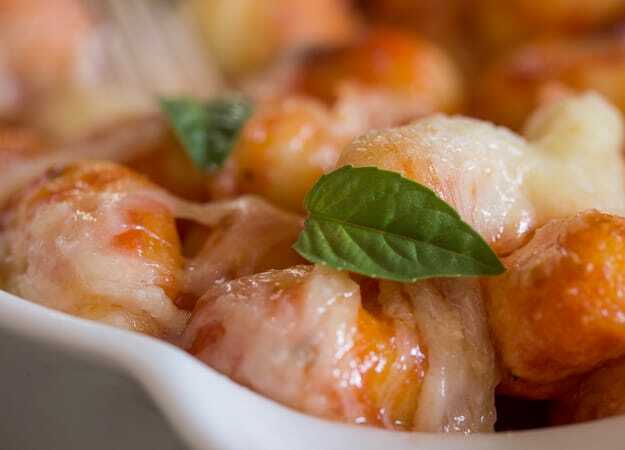 A Baked Gnocchi Recipe the whole family will love. A couple of weeks ago I made a White Sauce Baked Gnocchi that has become one of our favourites. 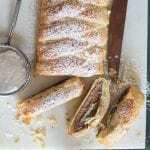 Not only is it delicious but really quick and easy to make. And believe me if you have never eaten a Pasta dish with White Sauce now is the time to start. Trust me they are really really good. More Baked Pasta Dishes you may enjoy! 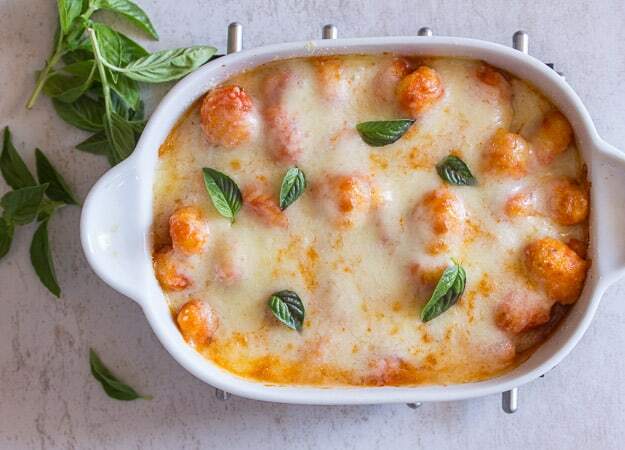 What you will need to make this Yummy Baked Gnocchi Double Cheese Tomato Sauce. 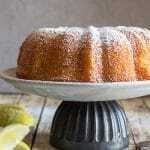 Baking Dish – I have quite a few baking dishes and these are the perfect sizes for any dish. Tomato Puree – This is one of my favourite purees. Large Pot – You can’t cook pasta unless you have a big pot to hold lots of boiling water. Serving Spoons – I like serving pasta with spoons rather than spatulas. So needless to say when you make a white sauce pasta dish you automatically have to have a red sauce dish that is just as good if not better. And this Baked Gnocchi is just that! As per usual we are divided on what is our personal favourite. My husband’s favourite hands down is the white sauce gnocchi, of course he prefers White Sauce Lasagna also. 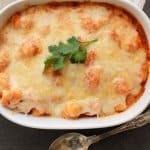 My favourite is this Tomato Sauce Baked Gnocchi with lots of Cheese! I tend to prefer Tomato Sauce baked pastas. My youngest daughter for this first time in forever actually ate Gnocchi and decided “eh this is pretty good”. And if I had to guess I would say my eldest daughter’s favourite would be the white sauce. Am I right? And what is your favourite? While the water is boiling, I made a simple tomato sauce with my favourite spices. Cooked it until it thickened, not too much because when it bakes it may become “sticky” as the Italian says. I Boiled the gnocchi just until they floated to the top, approximately 30-45 seconds, drained them and then immediately tossed with the thickened tomato sauce. I sprinkled the top with shredded mozzarella and freshly grated Parmesan cheese. Baked it for 10 minutes and there you have the perfect-cheesy-any-night-of-the-week-dinner-dish, Baked Gnocchi Double Cheese Tomato Sauce, Buon Appetito! The perfect Comfort Food Pasta Dish. In a medium pot, over medium heat add olive oil, garlic, purée, water, oregano,basil, and salt. Stir to combine cook until thickened (not too thick), approximately 15-20 minutes. 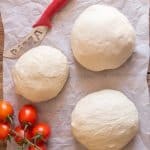 While sauce is cooking, boil water and cook gnocchi just until the float to the surface, approximately 30 seconds, drain immediately. When sauce has thickened add gnocchi and toss gently, place in prepared baking pan, top with first shredded Mozzarella and then grated Parmesan cheese. Bake in oven for approximately 5 minutes then broil for another 5 minutes or until cheese has browned, (watch it doesn't burn). Serve immediately. Enjoy! Updated from November 30, 2015. Hi do you cover this while cooking? Hi Mel, no no covering needed. I hope you enjoy it. This is my husbands favourite meal. So quick and easy on busy nights. I add mushrooms, red and geeen pepper. Sometimes grilled vegetables from the deli. It is also good for leftovers for the next night. Hi Julie so glad your husband likes it. Sometimes the fast and easy are the best. And I love those additions. Have a wonderful Sunday. Thank you for the recipe,will make it tomorrow! Whoa. Whoa. 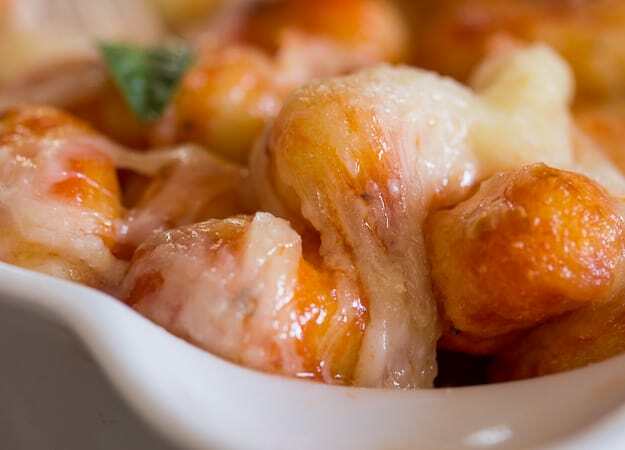 WHOA this looks incredible- I mean, you really can’t go wrong with soft pillowy gnocchi coated in tomato sauce and loads of cheese. Need to try this! Hi Karly, thanks I hope you enjoy it, it really quick and easy. There is just something about gnocchi and gooey cheese that just gets to my heart or should I say tummy! Looks so good. Gnocchi to me is like pasta — you can make so many dishes out of it!! Great recipe. Thanks Heather my kids love it too. Have a great weekend. 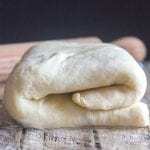 Hi Kim, I have a recipe for homemade gnocchi here is the like http://anitalianinmykitchen.com/gnocchi/ . Let me know how it goes. Have a great Sunday. Looks so good – using the store bought gnocchi makes it perfect for an easy weeknight dinner!